Here is a story from a volunteer with the AIDS Project that shows how your support changed one man’s life. 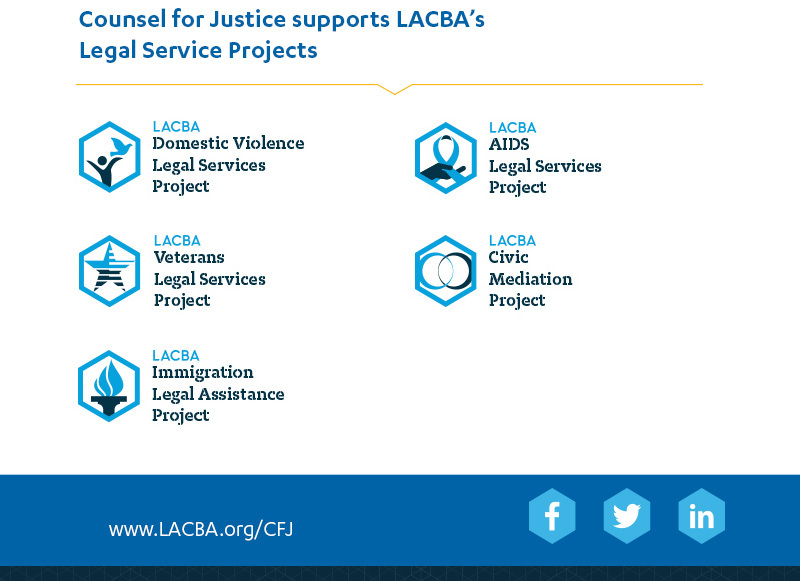 Your generosity enables the LACBA AIDS Legal Services Project (ALSP) to work with area law firms and attorneys to provide full service representation to people living with HIV/AIDS. The Project also works with Los Angeles HIV Law and Policy Project (LA HLPP) to conduct periodic debtor/creditor clinics. LACBA Barrister Steven Baugh first volunteered with the ALSP in 2014 when he joined the project's AIDS Walk team. In addition to raising much needed funds for the ALSP, Steven wanted to work with clients as well. With the growing demand for services on debtor rights issues, Steven was quickly put to work at a Debtor/Creditor clinic sponsored by the ALSP and LA HLPP. Steven's first client, Ricardo, is 61 and currently living on SSI benefits. When Steven and Ricardo first met, a debt collector had recently sued Ricardo on a $2,500 debt. Ricardo is judgment proof, with no assets and only disability income to live on. It is too often a common scenario for ALSP clients since many are disabled and it's pretty tough to live in Los Angeles on less than $1,000 a month, particularly with a chronic health condition. Steven reached out to the debt collector to clear Ricardo’s name. After several months of negotiations, Steven checked in with the ALSP: "I'm very happy to report that the case has been dismissed with prejudice! We are technically under a non-disclosure agreement as to the terms, but I think it's safe to say that Ricardo is happy with how things turned out." Since he helped Ricardo, Steven has helped two other clients with auto loans. Steven also raised funds with the project’s AIDS Walk team in 2015. Thank you for helping thousands of people in our community get access to legal services each year. Your support makes a difference. You are subscribed to %%list.name%% as %%emailaddr%%. You are receiving this message because you are a member of the Los Angeles County Bar Association (LACBA), one of its sections, registered to receive correspondence through LACBA's website, or are a member of the legal profession. If you wish to be excluded from any future correspondence, please see instructions below or mail us at 1055 West 7th Street, Suite 2700, Los Angeles, CA 90017-2557. To unsubscribe: click the following URL: %%url.unsub%% or copy and paste the URL into your browser.